Garden City University College (GCUC) is training new generations of health care workers for a country that sorely needs them. 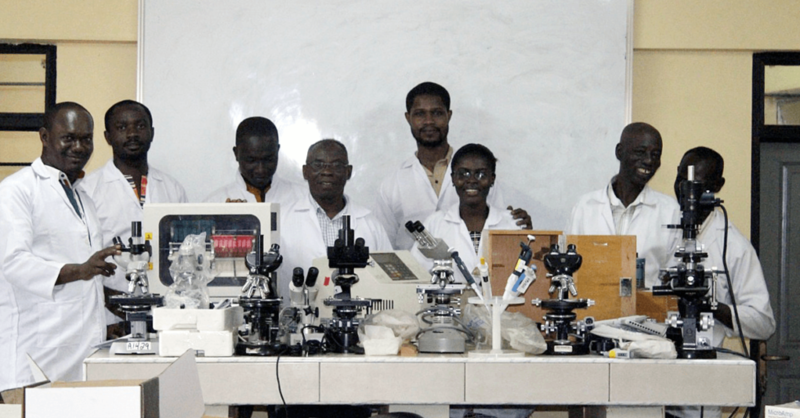 To fill a gap in Ghana’s health care system, GCUC introduced a medical laboratory technology program in 2013. However, the school lacked the necessary equipment to give students the hands-on training they needed to be prepared to work in medical and diagnostic labs upon graduation. In 2016, with support from USAID, Seeding Labs sent GCUC a shipment of Instrumental Access equipment. It contained nearly 3 tons of scientific tools and supplies donated by 31 US-based corporations, universities, and research institutes.